Despite broad public acceptance, investments in renewable energy sources in Germany and the EU have been dramatically decreasing. The failing legislation and exclusion of citizen investments in renewables are jeopardising the Energiewende, writes Hans-Josef Fell. Hans-Josef Fell was a member of the German parliament from 1998 to 2013 in the Alliance 90/the Greens group. He is the co-author of the German Renewable Energy Sources Act 2000, and president of the Energy Watch Group. Germany is celebrated internationally as a role model for a successful energy transition. Indeed, the feed-in-tariff legislation, initiated by the German parliament in 2000, has kicked-off the expansion of renewable energy, by far more rapid than most analysts expected. Within just ten years, the costs of solar and wind have dropped dramatically, turning them into the world’s cheapest electricity source. But is this picture still true? No. The truth is there have been massive drawbacks in the last few years in all renewable energy sectors with the exception of wind. Despite broad public acceptance and the investment boom in the rest of the world, the annual investments in renewables in the EU and Germany have halved since 2012. Due to lacking political support, most of the German and European companies, which pioneered the industrial production in the solar sector, went bankrupt or were sold out. Meanwhile, many other countries have outpaced Germany and the EU, having introduced way more favourable policies and investment schemes for renewables as well as ambitious goals on climate protection. In recent years, only wind energy has kept expanding. Yet, due to low government targets and the introduction of tenders this year, new installations in Germany are set to fall from 5.5 GW in 2016 to 2.8 GW annually. 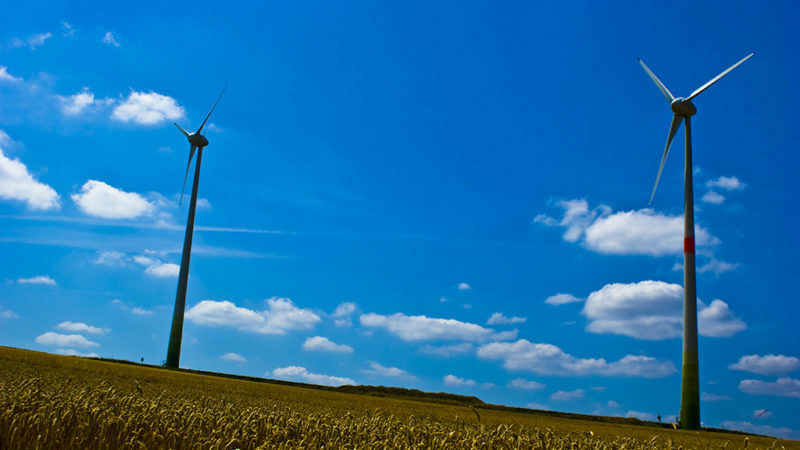 The deployment of wind power in Bavaria – the largest federal state with the highest wind potential across the country – has stopped almost entirely. The reason is a failed legislation, requiring an excessive minimum distance of wind turbines from residential areas. In other renewable energy sectors in Germany the picture is even more discouraging. Due to the restrictive law amendments, newly installed capacity of solar PV fell from 7.5 GW in 2012 to 1.5 GW in 2016, well below the government’s target of 2.5 GW per year. Investments in hydropower, geothermal energy and bioenergy have crashed. Since 2010, heat generation from renewables has been stagnating and the sales of electric cars fell last year. It comes as no surprise that employment in the sector has fallen from 400,000 in 2012 to 330,000 in 2016. Solar alone has lost over 70,000 jobs. Germany is not on track to meet its energy efficiency and climate targets either. In 2016, primary energy consumption again increased. So did CO2 emissions. The government’s plan to reduce CO2 emissions by 80% by 2050 is increasingly out of reach. As the global warming limit of 2°C will most probably be reached already by 2030, from then on the global economy should be entirely emissions-free. Yet, the German government and the European Commission did not adjust their emissions reduction targets in line with the Paris Agreement. Especially worrying for the further progress of the German Energiewende are the rapidly shrinking investments by citizens. Over the last decade, private individuals, farmers, energy collectives, small and medium enterprises as well as municipal utilities accounted for 90% of all new investments in renewables. By 2015, the number of new energy cooperatives fell from 167 in 2011 to just 40 annually. This was a result of a policy change from the feed-in-tariff to the tender model, hindering decentralised civil investments in renewable energy. All too often, the German government cites rising costs and the missing grid connections as arguments for these policy changes. But these arguments are wrong. According to the transmission operator 50Hertz, the existing grids can accommodate up to 80% of the green electricity. The current share of 33% is far from that. As for the costs, the electricity price for household consumers has indeed increased in the last years. Yet, the total price, averaged over all electricity consumers, as well as the stock market price for electricity, has declined considerably during that time. The cost argument is simply part of an anti-renewables campaign by the conventional energy industry. It is tragic but true: over the last decade, Germany has given a decisive impetus for a rapid expansion of renewable energy sources worldwide. But, since the 2005 government change to Chancellor Angela Merkel, this process has, step by step, been massively slowed down. Other countries have long introduced much more vigorous renewable energy policies. Nicaragua, Costa Rica, Uruguay and others are about to reach 100% renewable energy supply. China, Morocco, the USA and India have significantly higher expansion rates of renewables than Germany and the EU. At the 2016 climate conference in Marrakesh, 48 of the most vulnerable countries committed to move their entire energy supply towards 100% renewables by 2030 and 2050 at the latest. Such targets are not even part of the discussion by the current German government. Broad public acceptance of renewable energy sources in Germany and the EU is a solid foundation, which can help to quickly reverse this discouraging picture. To revive the earlier growth dynamics of renewables, the legislation errors of the past years should be urgently corrected. This should include the exemption of energy cooperatives from tenders up to 18 MW in the solar, bioenergy and wind sectors. Secondly, the introduction of an additional feed-in-tariff rate would promote combined investments from a mix of renewable energy sources and storage facilities, covering the electricity demand throughout the year. It will enable the grid integration without a base load from nuclear or coal power and will accelerate the expansion of renewables again. Thirdly, the German government and the EU should raise their ambition on climate action and emission cuts and fully phase out fossil fuel subsidies. Only in this way can they live up to their earlier reputation of climate and renewable energy leaders. Interesting article on “Energiewende”. What I miss is a comment on the transport biofuel situation. The German Energiewende has much too many expensive side effects. Sorry to say. But we will never get cheap and clean power without nuclear.